Large Curved Stacked Slate Wall Base - Aquascape, Inc. 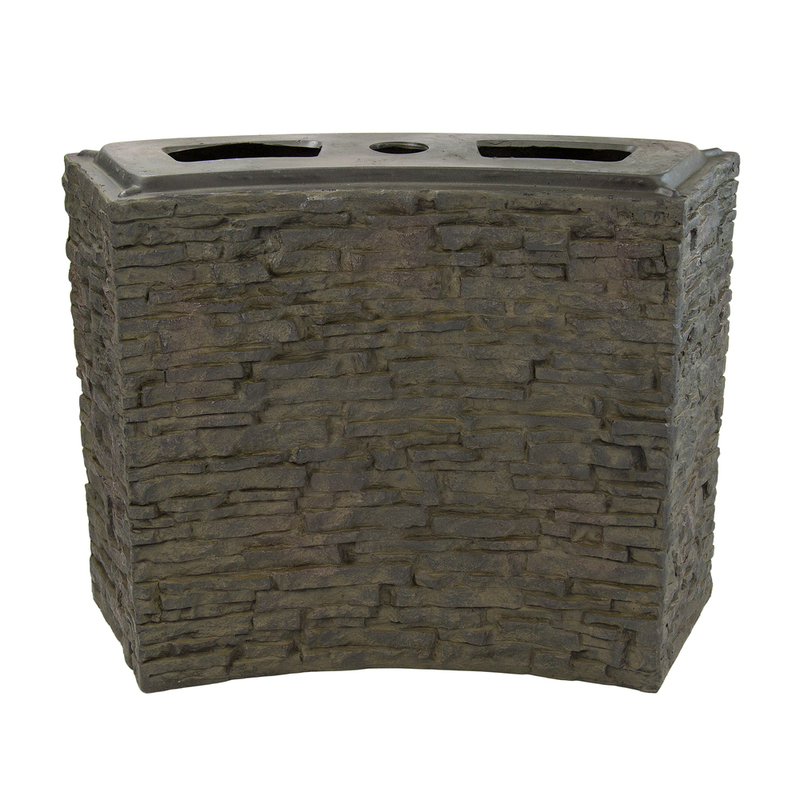 The Aquascape Large Curved Stacked Slate Wall Base makes it easy to add a unique, customized fountain to any location. 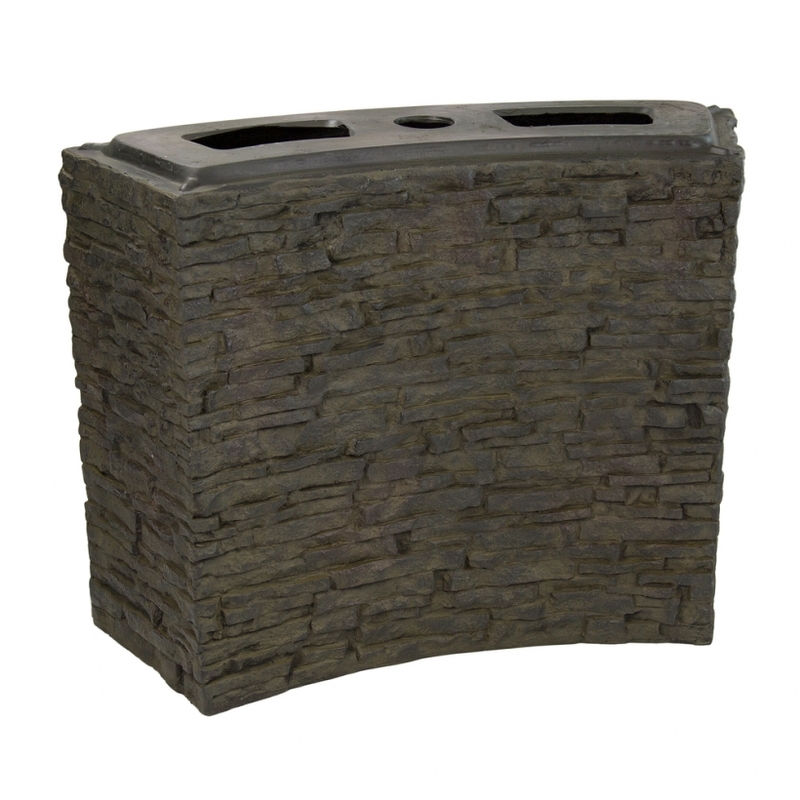 Simply add a curved stacked slate wall topper (not included) to create a water feature that is sure to impress. Water pumped through three separate water outlets at the top of the wall before spilling over the textured feature. The impressive natural-looking finish looks and ages like real stone, and the durable, lightweight fiberglass-resin composite construction is built to last. Multiple units can be stacked and combined for endless design configurations. Aquascape is passionate about the products we produce, providing unique products, designs, and features that stand above the competition.